In 1655, the first track designed for Thoroughbred racing was built on the land that would later be known as the United States, and more specifically, New York State. Exactly 360 years later, in 2015, important legislation was introduced by congressmen across party lines from New York and Kentucky, two of our nation’s most revered states for horse racing, through the Horseracing Integrity Act. The bill was designed to give a voice to those whose inability to be heard created a long-standing drug problem in racing, resulting in unequal, and unhealthy, conditions for horses, jockeys and those watching and betting. Five years ago, at The Jockey Club Round Table, it was my honor to speak with leaders of the horse racing industry in Saratoga Springs about how the efforts at the U.S. Anti-Doping Agency (USADA) have been proved to help protect clean athletes and preserve the public trust in sport. As the organization charged with administering testing, results management and education for U.S. Olympic sports, USADA was formed as a non-profit, non-governmental body in 2000 to stand for the rights of clean athletes. Over a 17-year history since our founding, our programs have brought uniformity and independence to a sporting landscape that previously fostered distrust among athletes, lacking both structure and integrity. Today, our programs, which now include developing and administering the Anti-Doping Policy for the Ultimate Fighting Championship (UFC), the leading professional mixed martial arts sport around the globe, have revolutionized the reputation of anti-doping efforts worldwide. We work tirelessly to push for justice and reform wherever, and whenever, we are called, in order to preserve the integrity of sport. Policing and promoting sport are two functions that must have clear lines of independence. In the five years since I participated in The Jockey Club Round Table, countless stories on medication, drugs, drug-testing and penalties within the pages of Thoroughbred Daily News and various other news sources have been published. Since 2015, it’s been encouraging to see owners, trainers, prominent breeders and animal welfare groups who have joined in support of the Horseracing Integrity Act. Through this ground-breaking legislation, USADA would have the authority, in cooperation with the industry, to make and enforce the rules of an anti-doping policy, as we have done with the UFC. An independently managed anti-doping program would restore integrity throughout the sport we all love, while ensuring athletes–horses, jockeys, fans and bettors–have the right to fair competition. In other words, the benefits of a truly independent Horseracing Anti-Doping and Medication Control Authority are numerous and far-reaching. And none is more important than protecting the safety and welfare of the sport’s horses and jockeys. In the last few years, USADA has welcomed regulators, owners, horsemen’s representatives, veterinarians and other representatives from the horse racing industry to our headquarters in Colorado Springs to learn about our process, our technology and our efforts in the Olympic and UFC programs. We have shared testimonies from athletes who have gone as far to state publicly that if not for strong, independent programs, individuals would no longer compete in the sports they love, because our efforts help ensure their safety in sport. USADA Chairman and great Olympian Dr. Edwin Moses and I have visited with regulators and horse owners at racetracks across the country observing existing chain-of-custody procedures with blood samples. I have also addressed and spent time with members of the American Association of Equine Practitioners to hear their calls for an independent and comprehensive anti-doping program. As caretakers of the proposed Horseracing Anti-Doping and Medication Control Authority , we are primed and equipped to meet the challenge of protecting horse racing’s owners, trainers, jockeys, fans and bettors, through uniformity and independence, to restore glory and integrity throughout the sport. Last year, I testified before a Congressional committee about the importance of independence in drug testing in sport. If you have followed headlines in Olympic sport over the last few years, you know that Russia’s state-supported doping scandal during the Winter Games in Sochi in 2014 ranks among the biggest in sports history, created by a lack of an independent anti-doping program. To be clear, the proposed Horseracing Anti-Doping and Medication Control Authority is not a federal agency, nor will it ever be. The federal government would designate and provide for it to serve as the independent agency for drug testing and anti-doping administration in horse racing. While changing the behaviors and beliefs of Olympic athletes and fans, USADA has done the same for UFC and its athletes. Protecting the rights for all athletes to fair competition means protecting athletes’ safety, first and foremost. Providing testing, adjudication, education and research are the fundamental ways in which the Authority will benefit the horse racing industry. Since our founding in 2000, USADA has administered nearly 150,000 anti-doping tests, utilizing laboratories accredited by the World Anti-Doping Agency to provide the most sophisticated analysis available. 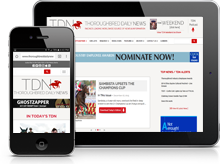 We are ready to help protect your sport, your owners, trainers, jockeys and fans. 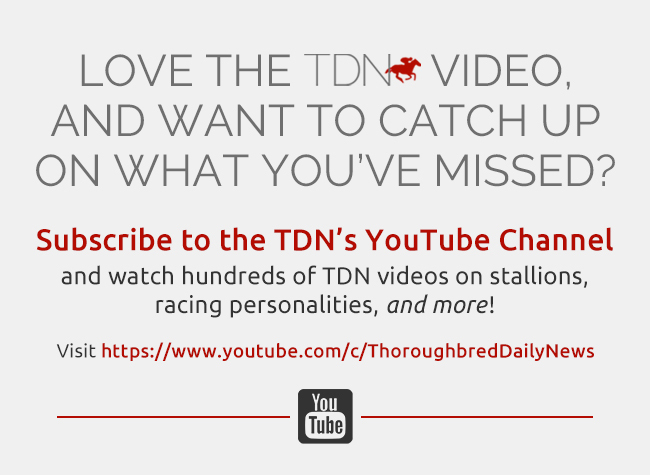 Help us bring a strong, independent voice of integrity to horse racing. 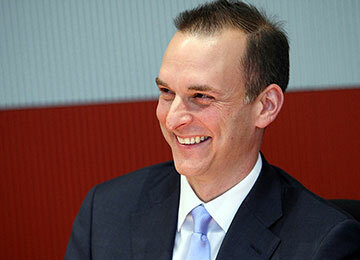 Travis T. Tygart is the CEO of the United States Anti-Doping Agency (USADA).